Graeme Clark, Ingeborg Hochmair and Blake S. Wilson, the individuals behind inventing cochlear implants are honoured with 2013 Lasker-DeBakey Clinical Medical Research Award. These prestigious awards are amongst the most revered science prizes in the world. The awards honour visionaries who have contributed in prevention of diseases or reducing disability. Facilitated for creating one of its kinds of hearing devices, the award honours their substantial contribution to restoring a human sense. Earlier hearing aids did not prove as effective as the cochlear implants and it were the efforts of these individuals which resulted in creating a landmark device for severe or profound hearing loss. 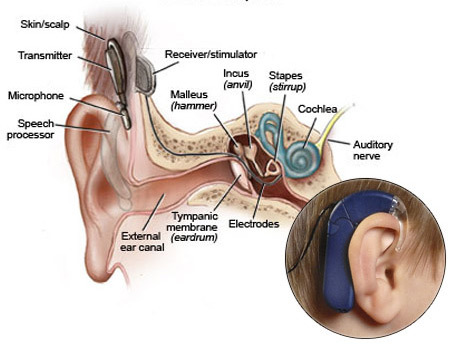 These hearing devices not only aid in hearing but also improved the speech of the patient. The reason is that it is not just a device that amplifies sound but actually works by sending signals to the brain. A rather revolutionary invention, cochlear implants have benefitted about 320,000 people worldwide. These hearing devices are the finest aid as they facilitate the whole ear to brain communication with the patient. The biggest beneficiaries' of this ground breaking technological advancement are babies and children who are born with a hearing problem or deafness. To sum up, the 2013 Lasker-DeBakey Clinical Medical Research Award to Professor Graeme Clark, Ingeborg Hochmair and Blake S. Wilson is a wonderful recognition for the research community across the world. With numerous of people benefitting from their efforts, the award is a great way of appreciating their contribution in the medical research.